The CSSBI Award of Recognition is intended to pay tribute to an individual or company who by their efforts have furthered the goals of the Institute, expanded the scope of sheet steel in construction and improved the quality of the construction industry in Canada. The individual or company has accomplished the above criteria without regard to personal or corporate gains but with the good of the industry and the Institute as a focus. The establishment of the Reinhold Schuster Graduate Scholarship in the Department of Civil and Environmental Engineering honours an important scholar, and teacher, the pre-eminent expert in cold-formed steel in Canada, and will make an important and visible contribution to the education of this country's future leaders. 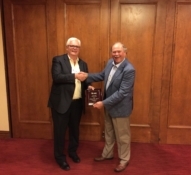 The 2018 CSSBI Award of Recognition was awarded at the CSSBI Annual Meeting banquet held on June 10th, 2018 in Mont-Tremblant, QC, to Mr. Michael B. Moore (left) of ArcelorMittal Dofasco Inc. Michael's contributions to the CSSBI were many and we thank him for his years of service to the Institute. 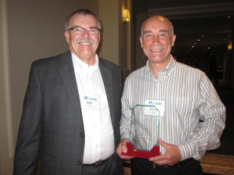 The 2017 CSSBI Award of Recognition was awarded at the CSSBI Annual Meeting banquet held on June 3rd, 2017 in Vancouver, BC, to Mr. Jamie Robertson (left). Jamie is the President and CEO of Agway Metals Inc. He is also a great supporter of the CSSBI and was the President of the CSSBI from 2005-2007. 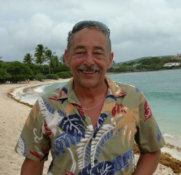 The 2016 CSSBI Award of Recognition was awarded posthumously at the CSSBI Annual Meeting banquet held on June 12th, 2016 in St. Andrews-by-the-Sea, NB, to Mr. Bryan Hernandez. Bryan worked for many years at Steelway Building Systems in Aylmer, ON and was an integral part of their success. He was also a great supporter of the CSSBI serving over the years on many committees in various roles ranging from Chair to President of the CSSBI from 2013-2015. Dr. Steven Fox, General Manager of the CSSBI. creative solutions for the metal framing trades. The 2013 CSSBI Award of Regognition was presented to Dr. Steven Fox at the CSSBI Annual Meeting banquet held on June 9th, 2013 held in Halifax, NS. Steve was present with his wife Wendy to accept this award for his contributions to the CSSBI and the Canadian sheet steel industry over many years. Steve is the current General Manager of the Institute and has worked for the CSSBI since 1982. 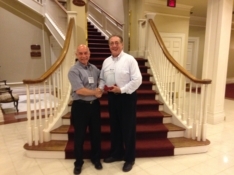 The photo shows Steve (right) being presented with the award by Mr. Mike Fox of Roll Form Group, current President of the CSSBI. 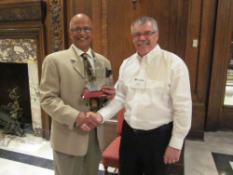 The 2012 CSSBI Award of Recognition was presented to Mr. Ken de Souza at the CSSBI Annual Meeting banquet held on June 11th, 2012 in Ottawa, ON. Ken was present with his wife Manuela to accept this award for his contributions to the CSSBI and the Canadian sheet steel industry over many years. Until earlier this year Ken was the Manager, Consuming Industries Products of ArcelorMittal Dofasco in Hamilton , ON. 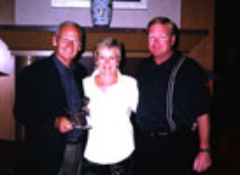 The 2011 CSSBI Award of Recognition was presented to Mr. James Urquhart at the CSSBI 50th Anniversary Annual Meeting banquet held on June 12th, 2011 in Whistler, BC. Jim was present with his wife Elaine to accept this award for his contributions to the CSSBI and the Canadian sheet steel industry over the past 25 years. Until recently, Jim was the General Manager of SFS intec's Canadian operations located in Waterdown, ON. The photo shows Jim (left) being presented with the award by Mr. Jamie Robertson (right) of Agway Metals, past President of the CSSBI. 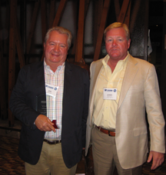 The 2010 CSSBI Award of Recognition was presented to Mr. Russ Edwards at the CSSBI Annual Meeting banquet on June 8th, 2010 held in Québec, QC. Russ is Chairman of WGI Westman Group Inc., a group of companies composed of Meridian Manufacturing Group, Sakundiak Equipment, Behlen Industries LP, Westman Steel, TS Metals and Canada Culvert. Russ was present with his wife Edna and members of his management team to accept this award for his contributions to the CSSBI and the Canadian sheet steel industry for the past 34 years. 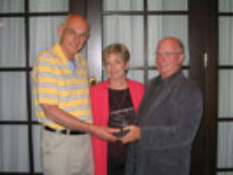 The 2009 CSSBI Award of Recognition was presented to Mr. René Laplante at the CSSBI Annual Meeting banquet on June 28th, 2009 held in St. John's, Newfoundland. René is the CEO of Ideal Roofing Co. Ltd. who are manufacturers of roofing and siding products since 1929. 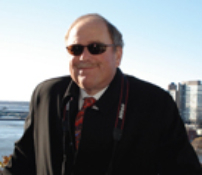 He was recognized for his contributions to the Institute and the Canadian sheet steel industry for the past 25 years. 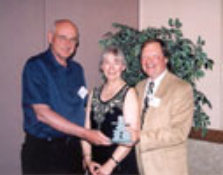 The 2008 CSSBI Award of Recognition was presented to Mr. Ron Danielsen at the CSSBI Annual Meeting banquet on June 8th, 2008. 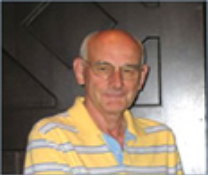 Ron currently works for Behlen Industries and has been involved with the CSSBI for almost 30 years. He was recognized for his many contributions to the Institute and the Canadian sheet steel industry. The photo shows Ron (right) being presented with the award by Mr. Angelo Sarracini of Bailey Metal Products, current President of the CSSBI. 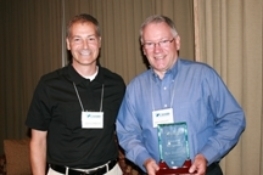 The CSSBI Award of Recognition was presented at the June Annual Meeting to Mr. Glen White. Unfortunately Glen was unable to attend the ceremony but the award was accepted on his behalf by his son Jason White. 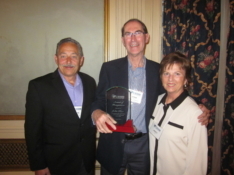 The CSSBI Award of Recognition was presented at the June Annual Meeting to Mr. Gil Campeau. The photo shows the award being presented to Gil (left) by the President of the CSSBI, Mr. Jamie Robertson of Agway Metals (right). Gil is joined by his wife, Heather. The photo shows the Award being presented to Dr. Reinhold Schuster (centre) by the President of the CSSBI, Mr. Glen White of Steelway Building Systems (right). Reini is joined by his wife, Colette. This presentation was made during the CSSBI Fall Meeting program held in Mississauga, Ontario. The photo shows the Award being presented to Mr. James Irwin (right) by the President of the CSSBI, Mr. Glen White of Steelway Building Systems (left). Jim is joined by his wife, Shirley. This presentation was made during the CSSBI Annual Meeting program held in La Malbaie, Quebec. The photo shows the Award being presented to Mr. Richard Benson (right) by the President of the CSSBI, Mr. Glen White of Steelway Building Systems (left). Richard is joined by his wife, Nora Lee. This presentation was made during the CSSBI Annual Meeting program held in Canmore, Alberta.